In this article, you are going to see 10 best YouTube video intro maker tools for 2019. For the Youtube videos, the role of youtube intros is vital. 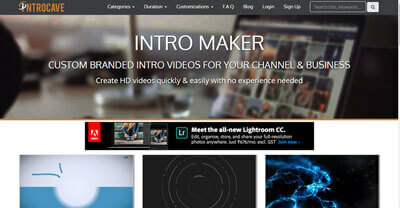 And if you are also looking for the best youtube intro maker, then read this article till the end. By using these youtube intro creator Tools, you can create appealing Intro clips for your channel in free and make your videos look out of the crowd. So without any further ado, let’s get started with the list. 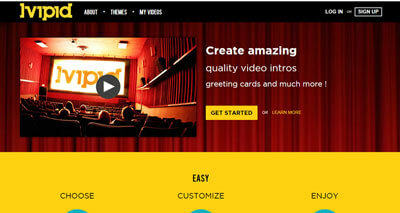 Flixpress is one of the top-notch youtube video intro maker tools online. Flixpress is best suitable not just for Youtube but for almost all type of video clips including Animated slideshows, explanatory videos, promos, ads, pranks, gags and what not! The video clips created on Flixpress comes in extraordinary quality and offers an extremely high level of animations. In fact, lots of big companies and organizations are leveraging this service for creating video clips for their Youtube channels, animated slideshows, ads and other purposes. So far, Flixpress has managed to achieve over 7,281,352 registered users. And over 15,638,525+ videos have been created via this service. It shows the reliability of the service. However, it’s not a free youtube video intro maker which makes it unsuitable for those who are short on budget. From intro videos for YouTube, explainer animations, kinetic typography to product or service promotional videos, music visualizations, wedding or travel slideshows, to what not, Renderforest offers Unlimited Possibilities for Every Kind of Videos. There are several features offered by this tool, which makes it one of the prominent tools for making splendid clip in the most sophisticated manner. In fact, you don’t need to have any additional skills in order to create videos via Renderforest. 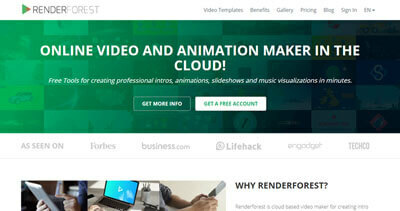 There are plenty of templates offered by Renderforest, which makes the video production task seamless and hassle-free. To create your desired clip on Renderforest, all you need to do is to add your title, image, logo and that’s it. In less than two minutes, you will end up creating the most eye-catchy intro for your Youtube videos. If the above two youtube video intro maker tools have failed to satisfy your video creation needs then give Tube Arsenal a try. I’m sure you will like it. Tube Arsenal is a perfect tool for all kind of video creation needs whether it’s about Youtube intros, logo animation, lower third, or outros. With Tube Arsenal, you can’t just brand your YouTube Channel by creating most attractive intros, but also Facebook, Twitch, Twitter, Instagram, Video Game Channel, and more. In short, Tube Arsenal has everything which an online video maker must have. Some of the key features offered by Tube Arsenal includes easy to use, high range of pre-made Tools, seamless interface, one-click download etc. And the best part is, Tube Arsenal is a free tool. You neither need to download the software nor it requires you to have any additional skills, just a few clicks, and your intro will be ready on Tube Arsenal. Biteable is yet another youtube intro maker we have on the list. It’s a power-packed tool which offers a great range of video production opportunities. It’s fast, free and reliable video clip maker which helps you generate the most appealing and attractive videos in the most convenient way. Biteable is a popular platform which is serving more than 3m video marketers already. There are a lot of appealing features offered by Biteable which makes it stand out from the crowd. Some of the key features of Biteable includes simple drag-and-drop timeline, high-quality music library, hundreds of animations to choose from, plenty of pre-made video template etc. With biteable, you can create video ads, explainer videos, infographics, animations and of course, Youtube intros in just a matter of few clicks. Panzoid might not be the most advanced video clip maker, but it is worth giving a try. It’s Powerful, easy to use and a free online tool, which allows you to create a beautiful custom content without taking a dime from you. On Panzoid, you can create interesting video intro clips with the help of a number of pre-made templates available on the website. Apart from the Intro clips, there are several templated for outro clips as well, which you can use at the end of the videos to engage your viewers on your channel. Moreover, Panzoid also allows creating channel art for your channel, twitter, and facebook covers etc. Intro Cave is one of the best Youtube Intro creators, which deserves to be on the list. Intro Cave is undisputably a cave for creating best quality Intro and outro clips for your Youtube channel. Intro Cave fosters a massive library of Youtube intros to choose from. And it doesn’t take more than a few minutes to create a beautiful and sophisticated custom intro, logo animation or outro for the channel. You know what is the best part of Intro Cave? It’s the intuitive interface of the website, which makes it extremely simple to come across the best suitable templates for your needs. 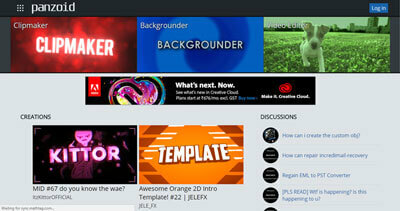 If you have a gaming channel, or you want to create high-quality motion graphics videos, then RendrFX is just for you. RendrFX is trusted in about 196 countries and over 312,158 users are already using this service for their video creation needs. RendrFX is a feature rich tool which offers hundreds of graphics and music to choose from. And with the beautiful premade templates available on the RendrFX, creating custom intro videos becomes as easy as ABC. 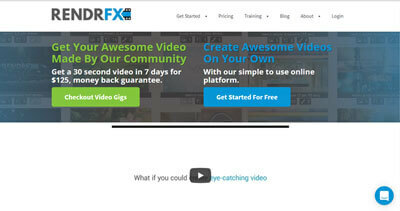 Moreover, RendrFX allows creating Intro videos for free. But here is a catch. Like most of the premium youtube video intro maker mentioned in the list, RendrFX’s free videos have the RendrFX watermark on it. But if you want to remove the watermark from your clip, you need to buy any of there subscription. Creating videos on Ivipid only takes three steps. The first step is to choose your desired theme. In the second step, you need to enter your desired data like your video title, logo, credits and so forth. And the final step is to create your clip. It’s that simple. You know what’s the part? The best part about Ivipid is its offering for earning credits by referring this service to your friends. And with those credit points, you get buy high-quality premium intro clips for free. 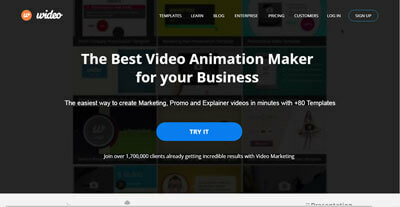 Want to create professional animated videos for your marketing campaigns?? If yes, then Wideo is the service which you must try. Wideo is the online video creation platform that enables you to create, edit, and share online videos in the seamless manner. With Wideo, you can make explainer videos, product presentation videos, promo videos, internal communication videos and all such type of videos which can give your business a considerable boost. All in all, it’s a good platform to create almost all type of videos. Wideo is a premium tool and comes with different packages for monthly and yearly basis. Each package boasts the different set of features. You can go for any of the plans as per your choice. 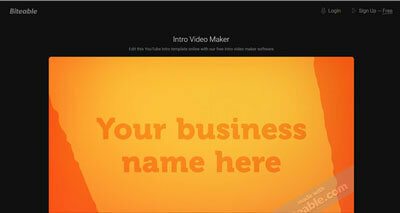 If you are absolutely short on budget and looking for youtube intro maker free, then Intro Maker is your answer. It’s not an advance tool but a useful one. Intro Maker is an easy to use tool and allows creating custom intros with animated logos of your own choice. 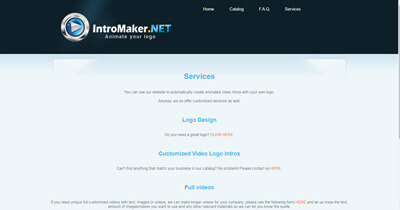 In order to create an Intro clip on Intro Maker, all you need to do is to select one of the templates available on the website, upload your logo, add your contents and click the create button. As soon as the clip is created, you can download it with just one click. 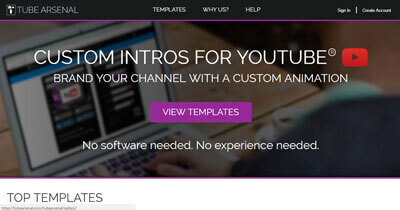 So if none of the above Youtube intro creators have met your requirements, then you can give Intro Maker a try. And I’m pretty sure, this tool won’t let you down. Creating Youtube video intro is not a child’s play. And not everyone has the skills that they can create Youtube videos which best defines there videos and channel type. And needless to say, an into needs to be appealing and descriptive since it comes forth all your videos. But if you use any of the top 10 youtube video intro maker mentioned in the list, you can then easily create eye-catchy and appealing video intros for your Youtube channel. So use them and help your channel stand out from the crowd. Thank you for this amazing post for making youtube video intro. I like this most how to to do this.